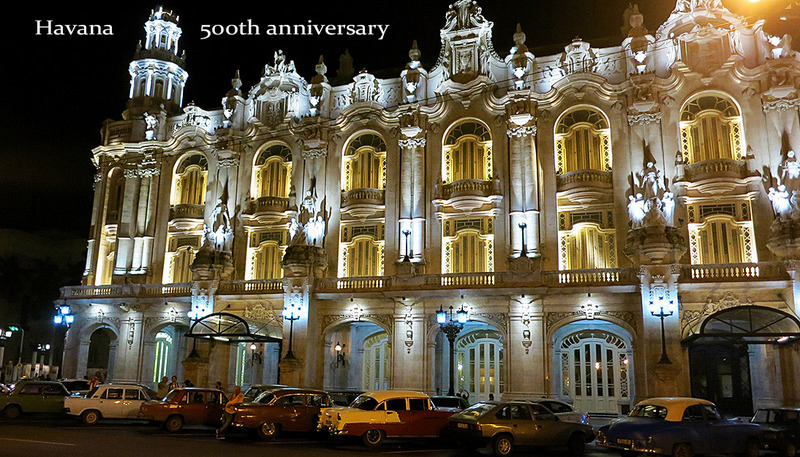 Havana was founded in 1519, and now Havana arrived to its first half millennium in 2019. 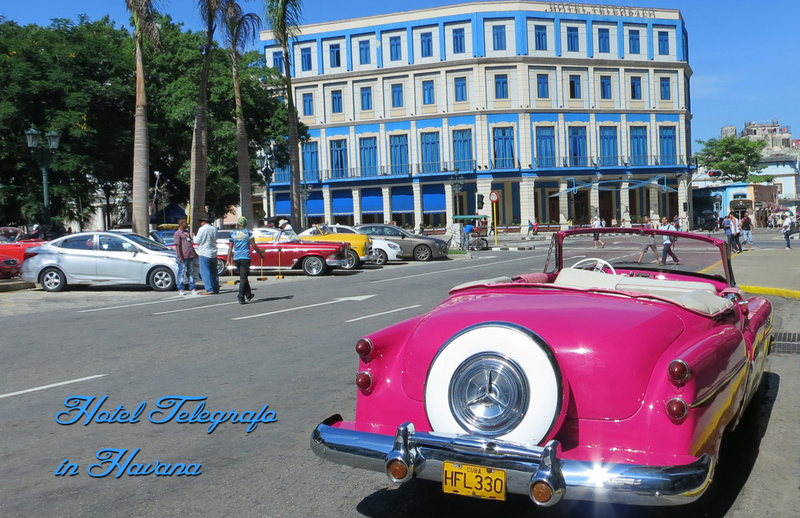 The original name of Cuban capital city is Villa de San Cristobal de la Habana, Havana was founded in year 1519. This year Cuba celebrates 500th anniversary of Havana with an extensive cultural program, among the activities for the 500th celebration, is the inauguration of Cuatro Caminos Market and the Central Railway Station and the rehabilitation of the Castillo del Morro lighthouse. Havana is one of Seven Urban Wonders of the World, the city received recognition as one of the seven Wonder Cities of the World, Ciudad Maravilla. Nowhere else but in the streets of historic old Havana is the Spanish colonial architecture so abundant, everywhere you look there is a unique image waiting to be recorded. Walking the streets of Old Havana will sweep even the most unsentimental of travelers from their feet. If you venture into Old Havana, you can’t miss the many art galleries among the elegant arches and columns of the restored colonial streets. A good place to start the hunt for prints is the Taller Experimental de Grafica, the Experimental Print Workshop in the Cathedral Plaza the old Havana main squere. It boasts a wide selection of prints, mostly by younger Cuban artists, offers variety of colours, sizes and content of the prints. The largest visual arts event in Cuba, under the general theme "construction of the possible" the next edition of the Havana Biennial was presented as a space for those types of contemporary art that understand creation as "living event or experience in progress". 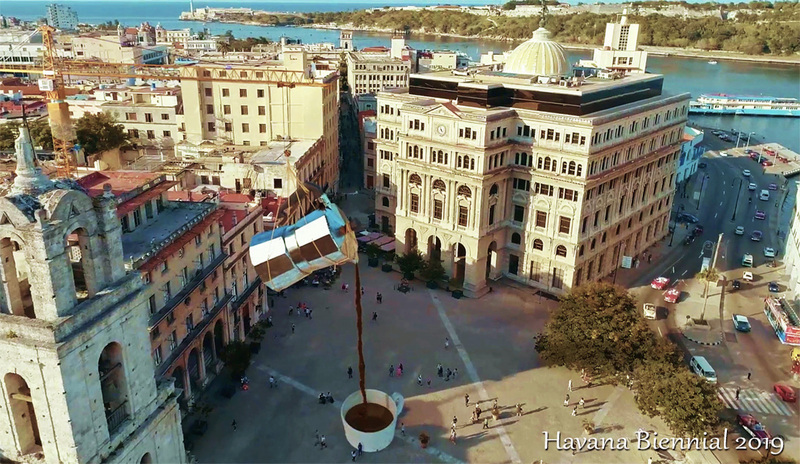 Art "invade the city" during the 13th Havana Biennial will be held in the 500 year anniversary of Havana. This year Havana Biennial hosting over 200 creators from 20 countries, including Canada, Portugal, Brazil, Colombia, Argentina, Mexico, France, Peru and Spain. 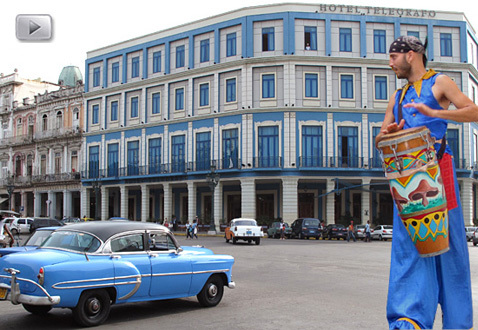 Cuba draws from an incredibly rich musical heritage. As anyone who has spent any time in Cuba knows, you are never far from the sound of live music. Cubadisco is not so much Cuba's version of the Grammy’s as its own musical celebration and appreciation of the strides that Cuban musicians and the Cuban recoding industry have made over the years. Royal visit to Cuba, Prince Charles and Camilla, Duchess of Cornwall visited Havana in March 2019. Prince Charles and Camilla visit to island had historical significance. The couple embraced Cuba’s love for vintage cars and art. They visited churches, shops and cafes in cobblestoned streets of Old Havana. 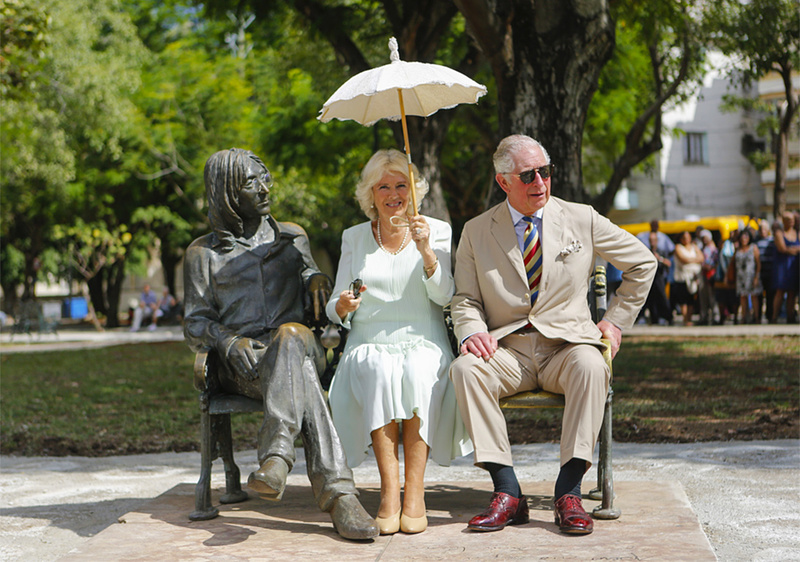 Prince Charles and Camilla, sit by a statue of John Lennon in Havana. The John Lennon Park or Parque Lennon is a public park, located in the Vedado. The Elegant Gran Cafe el Louvre, is situated in Havana center in Inglaterra Hotel the Cuba’s oldest and most classic hotel founded in 1875. Tables are decorated by Cuban contemporary artists. While in Old Havana, not miss the Bodeguita del Medio, a famous Hemingway bar near the Plaza Cathedral in historic quarter, famous for its traditional Cuban dishes, unique decor and for the best Mojito Cuban drink. El Patio Restaurant at the Cathedral Square in Old Havana, the restaurant is in a house of the 18th century, Casa del Marques de Aguas Claras. It is worth passing by for those who have a demanding taste. An excellent wine carte, where the meats could be very well accompanied, but also seafood is demanded in order to taste them with white wine and then to complete the dinner. The El Patio is a truly Cuban feast, at night expect spectacular Cuban Show, the best known places is Terazza La Mina, offer typical Cuban Cuisine and excellent Daiquiri and Mojito drinks, restaurant is located next to Palacio de los Capitanes Generales, Obispo street. After of the restoration the Gran Teatro is open to the public, the theater was recently rechristened the Alicia Alonso, Cuban prima ballerina. Colonial Art Museum situated at the Cathedral Square the former house of Count Casa Bayona, built in 1720. Its great facades show the Cuban colonial architecture. lts ceilings resemble a Spanish mudejar decoration. Display: colaonial furniture, glassware and porcelain from 17th century, an important representation of the decoration and furniture of the colonial mansions of Havana. Museo De Bellas Artes National Museum of Fine Arts is hosting in two location, the modern building is dedicated to Cuban Arts and the Universal Arts in former Asturian Center. Art works have been carefully selected and separated features Vanguardia and Colonial period. Address: Trocadero Street at Zulueta, and Monserrate in Old Havana district. Havana's Beaches Playas del Este is a chain of beautiful beaches. 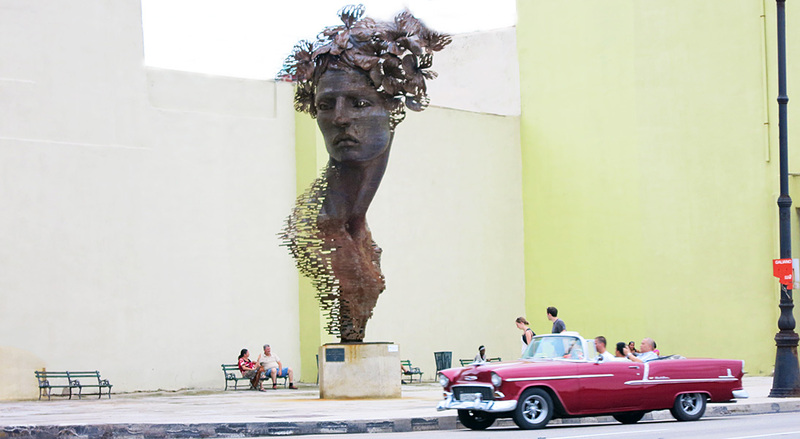 Vedado Havana center, offer lots of cultural events and attractions. Miramar Havana west of the Almendares River - Club Habana photo. Traditionally one of the more upscale district of Havana, known for its splendid mansions wide trees and palms avenues, where many of the embassies are located. Fifth Avenue leads to residential area of Miramar and the Havana’s business district; Convention Centre and Pabexpo, where various international fairs take place. Tourist attractions; exclusive Club Habana, Cabaret Tropicana, La Maison fashion house, Marina Hemingway, National Aquarium, Casa de la Musica. • Capitolio, National Capitol, is situated in city center in Vedado. • Real Fuerza Castle, situated at the Old Havana near the Bay. • Tres Reyes del Morro Castle, situated at the Havana Harbor. • Cannon Blast Ceremony at 9pm Morro Castle, La Cabana Fortress. • San Francisco de Asis Square and Convent in Old Havana center. • Cathedral Square, Plaza Cateral situated in Old Havana center. • Malecon Seawall Drive, situated at the Havana's sea shore. • Camera Obscura "Leonardo da Vinci" in Old Havana at Plaza Vieja. • Museum of Fine Arts "Bellas Artes" situated in Old Havana. • Palace of Captains General, situated in Plaza de Armas Old Havana. • Arms Square "Plaza De Armas" situated in Old Havana center. • East Beaches "Playas de Este", situated 15 km east of Havana. • Casa del la Musica, Salsa Dance Club is situated in Miramar district. • Cabaret Tropicana famous Caribbean Night Club, situated in Miramar. • National Aquarium tropical subtropical fish, dolphin show in Miramar. • Floridita, Hemingway favourite bar, Str Obispo #557 at the corner. the heart of Old Havana near the Cathedral Square. Explore Havana, discover unique colonial architecture, music and people while walking around the squares and narrow streets of historic old Havana. • Enjoy Dolphins Show, in National Aquarium, it shows tropical and subtropical fishes. The aquarium is a mixture of an educational and recreational concept. 10:00am a 6:00pm The Aquarium Restaurant "Gran Azul" is open every day from 12:00pm to 11:00pm. Historic old Havana seduces the visitor with her good looks, is the one of the world’s most exciting, confusing and compelling place. Habana's Vieja is famous for the Catedral de San Cristoal de la Habana at the Plaza de la Catedral, and for well-known 'La Bodeguita del Medio' bar-restaurant, where you can buy an mojito Hemingway's favourite drink, when listen to live Cuban music. Modern Planetarium opened in Havana historical center. Japan donated the Planetarium to Cuba, it able to capture 6500 stars offer guided tours of the Universe Auditorium in theatre with 65 seats. • Enjoy the best Latin Jazz night in Havana, performed by virtuosic Afro-Cuban musicians at the Jazz Cafe and the La Zorra y El Cuervo Jazz clubs. • Historic Military Park offer white weapons museum in the El Morro Fortress located across the Havana Bay. • Casa de la Musica is one of the best places for live music and local culture in Havana. With shows every night - 4pm to 7pm and 10pm – 2am. • El Delirio Habanero a great spot for a romantic evening, a piano lounge hosting comedians and cabaret, at 4th floor of National Theatre fantastic night view. • Cafe Cantante Mi Habana located l next door to El Delirio Habanero, is an excellent place to test your dancing skill and learn how to dance Salsa. • El Tropical you can dance to Los Van Van, Pupi y Su Son Son or Habana Abierta. Friday, Saturday and Sunday is best. Address: Linea & Calle F in Vedado. • Rooftop garden bar of Hotel Ambos Mundos in Old Havana a must see for a spectacular view of Havana and the bay, drink and music in the middle of the day. • Casa de la Amistad - House of Friendship is a perfect place for live Cuban music, open until midnight. Address: Paseo #406 between street 17 & 19. • Tikoa small but popular with young Cubans and travelers alike. All Cuban music with lots of Afro Cuban vibes. Address: #177 Street 23 between N & O Vedado. • El Tunel is in fashion today Salsa Discos music, young Cubans dancing, few foreigners go to El Tunel Address: Street Patrocinio Saco, Vibora, Havana center. • La Zorra y el Cuervo for best Latin jazz, intimate space has attracted some of the worlds most loved jazz musicians. • Callejon de Hamel one of the most exciting places to catch local Cuban music and dancing, from 12pm to 3pm at Sundays. Address: Rampa Str 23 & Vedado. Excellent place to hear some of Cuba's top jazz musicians including Chucho Valdes. Address: Galerias Paseo, Calle 1ra, e/ Paseo y A Vedado, across the Hotel Melia Cohiba. Open design provides for a good bar atmosphere. Jazz night every day from 21:30 to 3.00am. Where you might spot the elite of the americans actors and top fashion models in Hotel Melia Cohiba. The best Cuban show Havana Cafe salsa dance, decor includes old cars, a gas pump, an old Harley Davidson and other memorabilia including a whole old aircraft. Large outdoor club featuring big names salsa stars, bands and dance performances. Great sound system lively, located on 5 Avenida & 110 Str. At top floor of Habana Libre hotel, overlooking central Havana decor is from 1970s style, Vedado. Night Club live music the best Timba and Salsa groups play here, Has large outdoor dancing spot. each with its own bar, in a tropical ambience with lush gardens everywhere. There is also a large pool and numbers of shops for fashion and Fashion Show. Located Str 222 & 37 La Lisa Havana West 25km from Havana ceter. Disco Club, with live Cuban Salsa music a good dance venue frequented by foreign and local audience, located in National Theater, Plaza la Revolucion Vedado.